I found myself engrossed in book #2 of the Origami Yoda series. Not a personal genre favorite of mine, but highly recommended (and I needed a break from the civil war book!) I only wish I had the opportunity to read The Strange Case of Origami Yoda first so I would know the characters and the back story. The first book in this series was about a 6th grader named Dwight and his advice-giving, origami, finger puppet of Yoda. 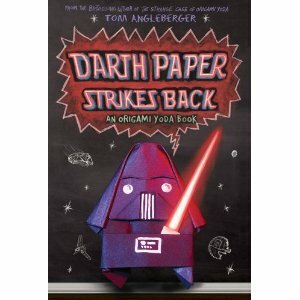 This book continues the story, but now it’s Dwight and Origami Yoda who are in need of assistance, and the students of McQuarrie have taken up the charge – all except Harvey and his origami Darth Vader, a/k/a Darth Paper. Darth Paper is insulting, possibly evil, and the root cause of Dwight and Origami Yoda’s troubles! For readers to successfully navigate this book, they must not only read the text, but also follow the drawings, diagrams, and comments written in the margins, all the while tracking which narrator is telling the story at any given point. Also, if a reader isn’t familiar with Star Wars, it might be difficult to understand many of the references and innuendo – but for those Star Wars enthusiasts, and those up to the challenge of navigating the textual features, then this is the book for you! 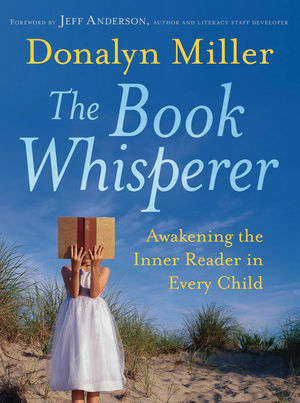 The Book Whisperer by Donalyn Miller has been on my to-be-read list for quite a long time, but only recently came into my hands. Mrs. Miller teaches 6th grade and is highly respected by all educators as a guru who remains in the classroom fostering a love of reading for her students! I read this book in one night, but know I will return to it again and again. While valuable for teachers and other educators, I believe many parents would find it helpful in understanding upper elementary and middle grade readers. I actually found my copy on the shelves of my local library, so it should be fairly easy for you to get a copy of as well. Donalyn Miller’s premise is simple … children will become readers if we give them ample time to read, help put interesting books in their hands, and model for them what a reading life looks like! She highlights how to recapture lost instructional time during the day** and how to repurpose a few “traditional” classroom activities with independent reading. Her book is practical, straightforward, and has challenged me to reflect on what literacy looks like across a school building. (**) In thinking about repurposing time I was reminded of this post by Howe Elementary School Principal, Matt Renwick. Matt is a true literary principal and has many ideas worth stealing! 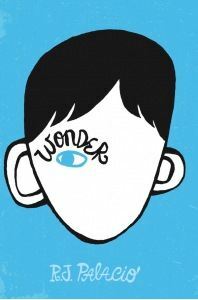 The term mandibulofacial dysostosis doesn’t often come up in children’s novels, but it is the heart of a fabulous book entitled Wonder. This is the story of Auggie, a soon-to-be 5th grader who will be attending school for the first time at Beecher Prep. Auggie has been home-schooled, due to years of surgeries and medical fragility, but that is about to change! Check out this awesome video book trailer. While this book is about Auggie’s 5th grade year, it’s certainly also a book about disability, human nature, and friendship! Written from the viewpoint of multiple narrators, the story lives and re-lives various events through the eyes of those involved. Wonder is a book many parents should read alongside their children, as the perspectives are varied and the lessons are many. Perhaps the biggest takeaway comes early in the book, but is repeated throughout …. “When given the choice between being right or being kind, choose kind.” Dr. Wayne W. Dyer. Wonder is written by R.J. Palacio. The Amazon link is here. I read after I posted this morning that the July Twitter Bookclub will be based on the book Wonder, and there’s a free book giveaway today and tomorrow!